Winter arrives this week in the northern hemisphere. Parts of the U.S. have already had snow and frigid temperatures. 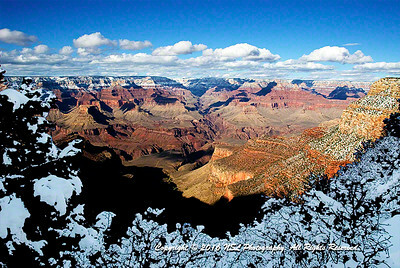 Too many travelers put their cameras away in winter climates, missing great photo opportunities. Shooting in frosty weather has challenges of fast power loss, mechanical parts freezing and sometimes breaking, LCDs not functioning and travelers' clothing not giving needed protection. Cameras manufactured today have temperature specifications of about 32°F-104°F (0°C-40°C). If ambient temperatures are in or near that range, you're okay. In fact, I've found that most cameras and lenses have few if any problems, other than power, at temperatures down to 0°F (-18°C), at which the battery will run out of power quickly. If you warm the battery you will regain some of its power. Below 0°F (-18°C), especially if there is a wind dropping the "wind chill factor," things can quickly get dicey. Here are some essential tips to prepare your gear and yourself for cold winter weather, so you can capture great images and memories of your winter travels. Check the weather forecast — It's essential to know what temperature and precipitation, if any, you'll encounter so you can be well prepared to handle it. Dress in layers — Wearing layers of clothing permits you to adjust your body to changing weather conditions and your level of activity, in order to avert overheating. Preventing overheating is important to forestall sweating which can lead to hypothermia. I stay away from cotton for my inner layers, including socks, because of its inability to help retain heat when wet. Protect your face, feet and hands — Protecting your face and extremities is critical. Gloves which enable you to use your camera while keeping your hands and fingers warm are not easy to find, especially for extreme cold. I use winter bicycling gloves up to about 32°F (0°C). I use mittens with hand-warmer packets when it's colder, with thin gloves on my hands inside them to give me the ability to control the camera when shooting. Protect your batteries — Today's cameras and cellphones, which some use for their travel photos, all depend on battery power. The lower the temperature, the less power capacity your batteries have. If your camera has removable batteries, bring at least two fully charged replacement batteries with you. Stow the spare batteries under your parka to use your body heat to keep them warm. When you swap batteries, stow the used battery under your parka to warm it. It likely has more life left in it. If your camera's or cellphone's battery isn't replaceable, stow them in your parka's pocket with a hand-warmer packet, when not shooting. Don't stow it under your parka for two reasons. First, it's not detrimental to occasionally open your parka to pull out a battery, but it's not wise to regularly open it to pull a camera in and out. Second, your camera can pickup unwanted moisture from your body under your parka, which can fog or freeze once outside it. Protect your gear — Cold winter weather can include snow, sleet, freezing rain, and wind. At temperatures approaching 0°F (-18°C) I protect my camera and lens from the cold, especially if it's windy. I use an insulated camera bag and if the temperature is below that, I insert hand-warmer packets into the bag to keep the camera warm. If there is any chance of precipitation or high winds, I put protective weather gear on my camera/lens, and I always have emergency weather protection in my bag, in case of unexpected precipitation. In winter, I generally use a backpack to protect my spare gear and have space to stow clothing in case I need to add or remove layers during the day. My backpacks have an all-weather cover ready if needed. Other than batteries, I don't stow gear under my parka primarily due to the moisture problem discussed above. Use a tripod and remote shutter release — If you have them, these are great tools to use in extreme cold. The tripod can eliminate camera shake due to windy conditions or when you might be a bit shaky due to the cold temperature. With your camera set to use auto-focus, using a remote shutter release can enable you to keep your hands in your warm, heavy gloves and still make the image. Protect your gear at the end of the day — Even when just about back in your hotel, your photography day isn't quite over. By now all your gear is cold, inside and out. Due to the cold, there is normally very little humidity in the outside air, or at least considerably less than in your hotel. If you don't protect your camera when you return to the hotel, the moisture in the hotel's air can condense on the cold surfaces of your camera gear, even inside the camera, which can damage its electronics and moving parts. Put your gear in plastic bags, you've carried in your backpack, prior to going inside. The moisture in the air will condense on the outside of the bag while your gear warms up, protecting it. If you follow these tips you can protect yourself and your camera gear, while not missing the great photo opportunities available during winter travel. The first time I ever used a plastic bag to bring my camera back inside in winter I couldn't believe how much water condensed on the outside of the bag. I used your tips on my recent trip to Yellowstone and they all were a great help.